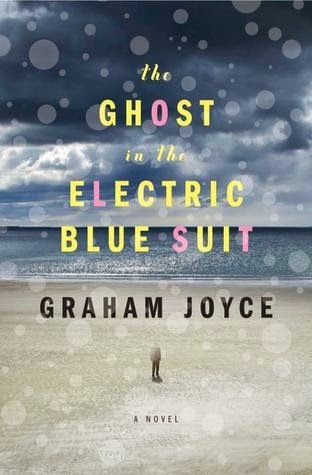 Though it's taken a bit of a backseat because of his illness, Graham Joyce updated his blog the other day with news about his current work in progress; thoughts on the shortlisting of The Year of the Ladybird for the August Derleth Award; a reminder, not unrelatedly, of The Ghost in the Electric Blue Suit's release date; and, of most interest to me at the moment, a pointer towards the e-book edition of his famously "lost" novel. I call it lost because it was one of those that fell between one editor going and another coming in the UK, and was never properly published in the US either. It’s an important novel to me because I was trying to push the envelope of what I could do with that mix of magical or supernatural elements and a focus on domestic relationships, and trying hard not let the one value preside over the other. You’ll know I’m still working on that! It comes with an introduction in which I talk about what happens to a book when you lose your editor (fired, head-hunted, absconded, incarcerated or whatever); and about first trying to find a way of writing character-driven supernatural stories. "A quietly supernatural thriller set in the Dordogne region of France in which a group of somewhat dysfunctional friends spend a two-week holiday in a lonely cottage," The Stormwatcher appears to have been written immediately after The Tooth Fairy—my first Graham Joyce novel, and a brilliant British Fantasy Award winner—before being published in 1997 "not in secret, but with the very opposite of a fanfare." That's fair. I care, and I wasn't even aware of its existence. 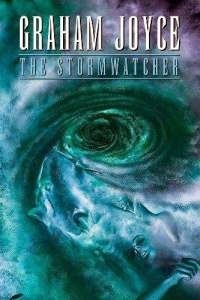 In any event, The Stormwatcher has finally been made widely available... and about time too. You can—and you should, I'm sure—pick up a copy of the digital edition for your Kindle for a couple of quid. Go forth and ghost, folks! Did not know about either of these, thanks so much. He's one of my favorite authors. Share book reviews and ratings with Niall, and even join a book club on Goodreads. TSS will gladly accept books, screeners and early builds for potential articles on the blog. Coverage of some sort is likely but not guaranteed. For more information or to request my postal address, email me via this link. Click through to the Review Index for links to each and every critique published on TSS to date. All content © 2012 Niall Alexander. Excepting images, which were mostly pilfered from the internet. Awesome Inc. theme. Theme images by Jason Morrow. Powered by Blogger.